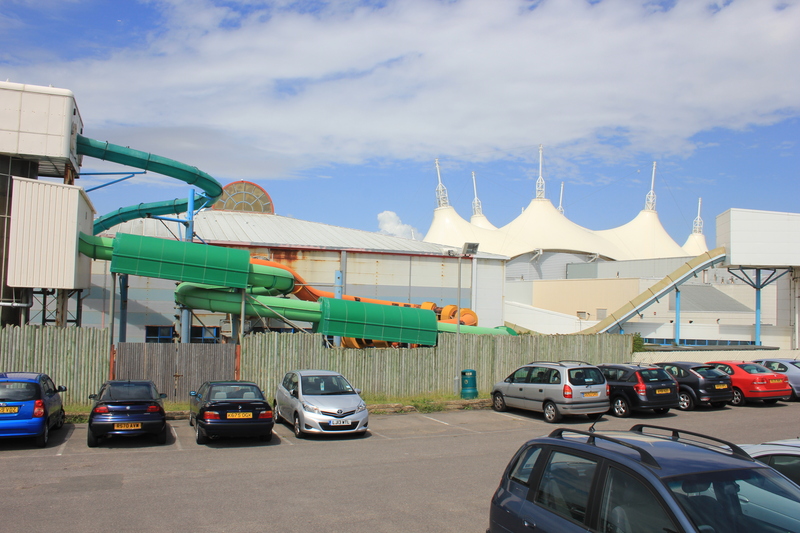 As we walked from Felpham, the Bognor Regis skyline was dominated by the multi-domed structure of Butlin’s Holiday Camp. To me it was an eyesore. From Felpham it looked like it towered over the town, drawing all attention to its monstrous self. It looked a bit like a circus tent, but an overly large and sinister one which gave the impression it might still be growing. It was as if the original tent had swelled, growing pustules and boils which then became further domes in their own right. Anyone with a clown phobia should steer clear of this stretch of coastline. Once we got to Bognor Regis we found that the buildings next to it shielded it from view to a certain extent. Even so, the point at which the promenade passes the back side of the camp can hardly be described as becoming. Bognor Regis used just to be called Bognor, but after King George V convalesced here in 1929 he bestowed the suffix “Regis” to the town. According to the story, he took some persuading. When the petition was first presented to him he is famously said to have cried, “Oh bugger Bognor!”. Perhaps that is why the tourist information board I saw snubbed the town’s royal connection to him, and concentrated on his wife. Instead of telling the story of how the king stayed in Bognor, it dwells on the fact that his wife, Queen Mary, once shopped in the Bognor branch of Woolworths! Having read this, I decided that there was little more on the information board which might enrich my travelling experiences, and so moved on to the pier. What is it with the piers of Britain and they way they appear to attract disaster? Hollywood has made disaster movies featuring buildings, aircraft, ships and volcanoes. They missed a trick, I tell you, by not making a disaster movie set on a south coast pier, because these piers all seem to be extremely accident prone. Perhaps Hollywood decided “The Poseidon Adventure” sounded better than “The Bognor Blowout”. 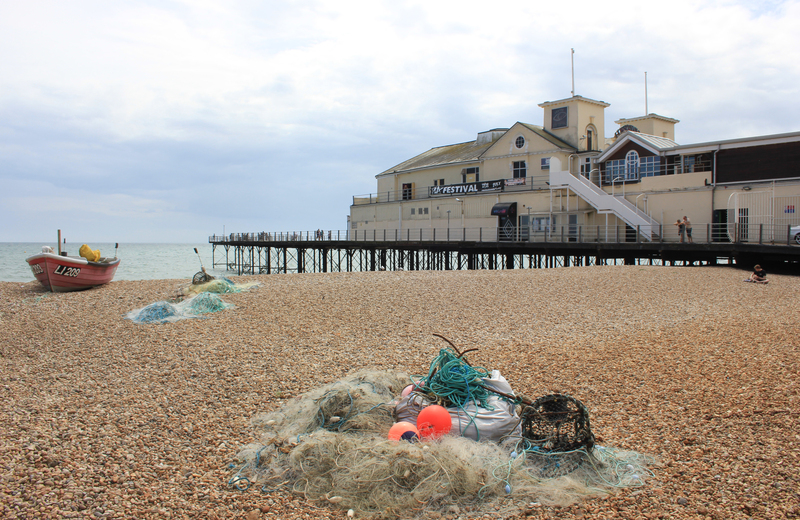 Even so, the chequered fate of Bognor’s Pier is worth noting. 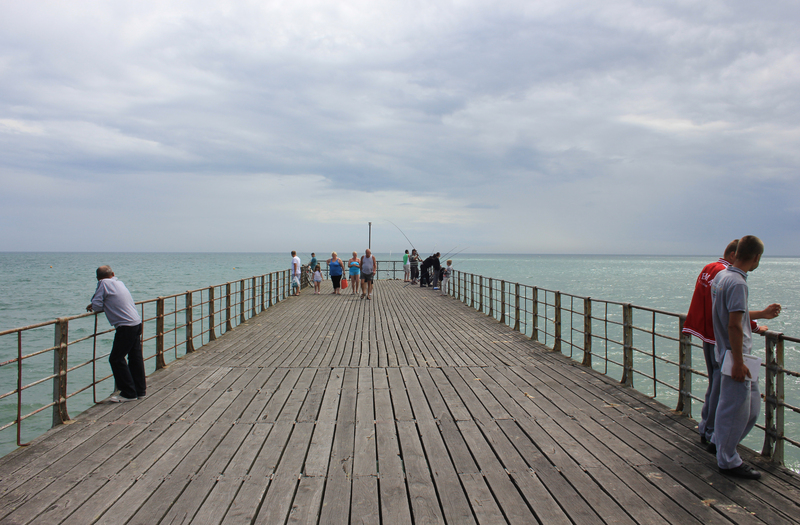 Bognor Regis’s pier was opened in 1865, and stood at 1,000 feet in length. It fared rather well in its first 99 years, but in 1964 suffered storm damage. Then, in its hundredth year, further storm damage caused its pavilion to quite literally sink into the sea. It was sold the following year, but lasted only another 9 before two fires in three months caused it to be shut down. By the mid-1990’s its repair was still a major issue; the estimated cost of restoration was well over £2 million. Despite all these problems, the pier continued to host the annual Birdman Rally, in which people with home-made flying machines throw themselves off the end in the hope that they will fly horizontally rather than vertically. Most do not. The head of the pier remained in extremely poor repair (all the more reason to jump off it, I suppose) and in 2008 the last 60 feet of it had to be demolished. The Birdman Rally was moved to Worthing. By 2010 Bognor Regis decided it could host the event again, even though there were fears about the depth of the water at the end of the shortened pier (all the more reason to make sure you fly horizontally and not vertically, I suppose). Worthing appears not to have wanted to lose the event, meaning both towns now host a competition. In August 2011 there was a fire causing several thousands of pounds of damage, but the pier survived. In 2013 one of the cash machines in the amusement arcade deducted £10 from my credit card but then refused to give me the money. I was rather upset by this, but again the pier survived my anger. A kindly attendant gave me £10 from the till. Bognor Regis’s pier has seen a great storm, an inferno, several aircraft crashes, and it’s pavilion has become a modern addition to the Lost City of Atlantis. Yet Hollywood continue to ignore it. “Bugger Bognor,” as King George V said. Still, the views were pleasant enough. 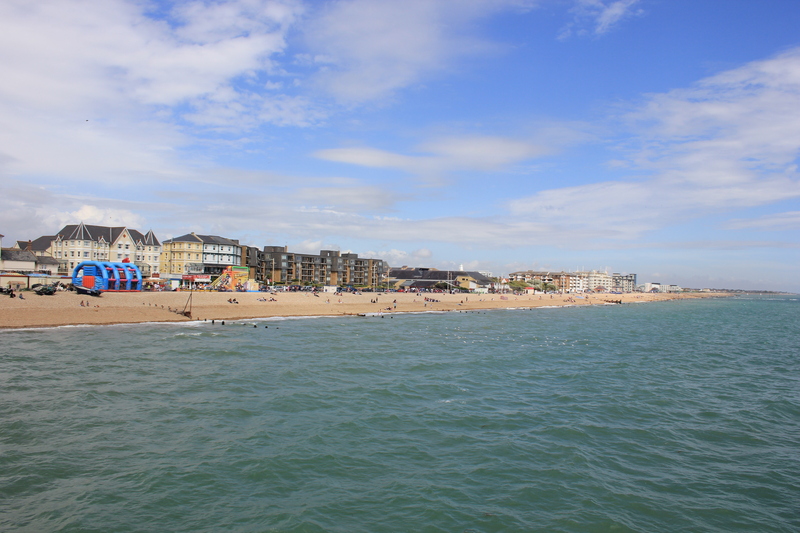 This entry was posted in West Sussex and tagged bognor regis, butlins, coast, pier, travel, walking. Bookmark the permalink. My embarrassment is more than compensated for by the pleasure of knowing that there is someone reading this blog. Thanks Ju! Mistake corrected.